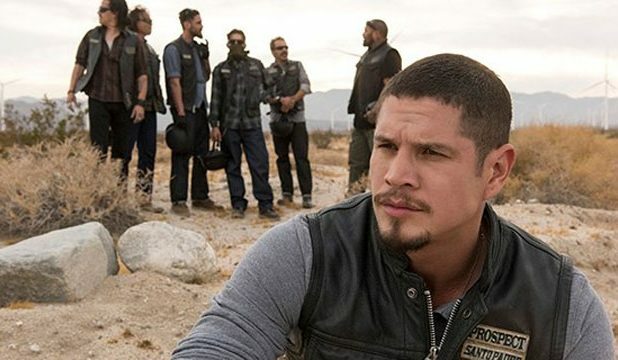 FX has released a new first look video for the upcoming Sons of Anarchy series Mayans MC starring JD Pardo. The video features interview clips by some of the main cast including series’ co-creator Kurt Sutter explaining about show’s themes of family, survival, culture and the dark side of life. Check out the video below! The spinoff series is set in a post-Jax Teller world, where EZ Reyes, fresh out of prison, is a prospect in the Mayan MC charter on the Cali/Mexi border. Now EZ must carve out his new outlaw identity in a town where he once was the golden boy who had the American Dream within his grasp. Mayans MC has a 10-episode order for its first season. The series will premiere on Tuesday, September 4. The post Mayans MC First Look Goes Behind-the-Scenes of the SOA Spin-off appeared first on ComingSoon.net.